There’s nothing more special than the christening of your child. It’s such a milestone in a baby’s life and a very important time for the parents and family as well. 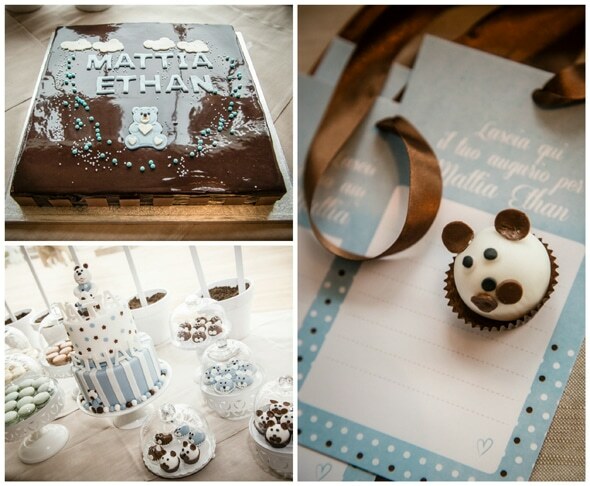 This family celebrated their sweet baby boy’s baptism with an adorable Bear Themed Christening with desserts and food galore! Everything from the fabulous cake to the sweet bear themed desserts was pure perfection! 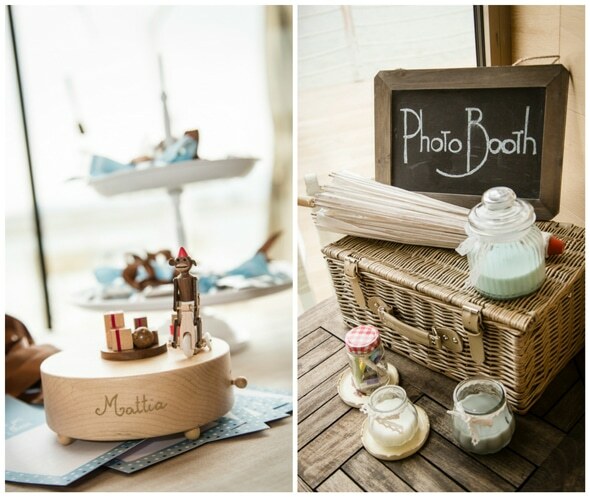 We’re loving the way families are celebrating christenings with adorable themes like this one! The ideas and details in this celebration would also be perfect for a baby shower or a first birthday! The dessert table had a nice variety of sweets and treats for guests to enjoy with the adorable blue and brown bear themed cake as the centerpiece! 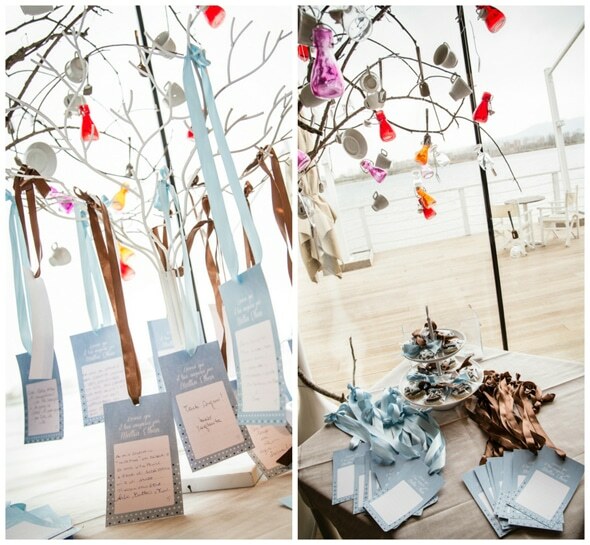 Guests wrote little notes to the baby boy for his special day, which were then hung on a tree. What a fun decor idea! 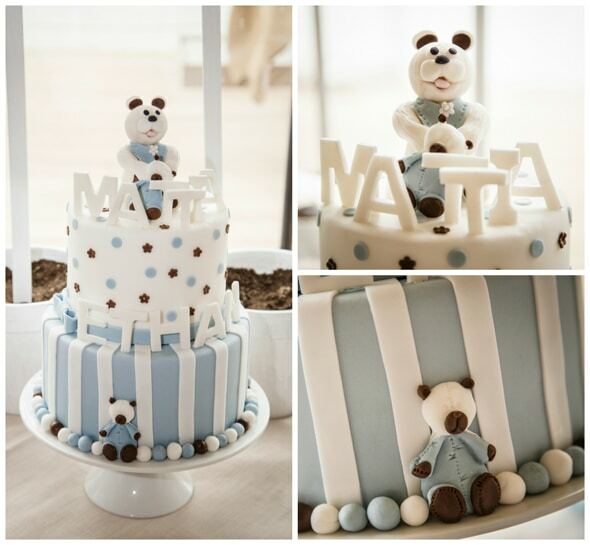 The cake, which featured cute teddy bears and the little boy’s name, was the sweetest treat of all! Cute cupcakes and matching macarons also filled the table. Yummy! Every celebration should have a photo booth to capture those fun moments with family and friends! Guests took home sweet cookie favors matching the adorable theme. 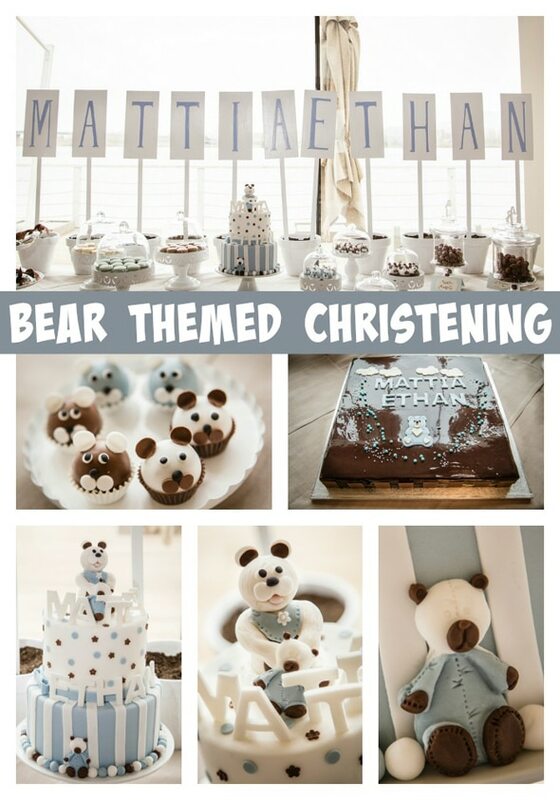 What a wonderful theme to celebrate this child’s special christening. 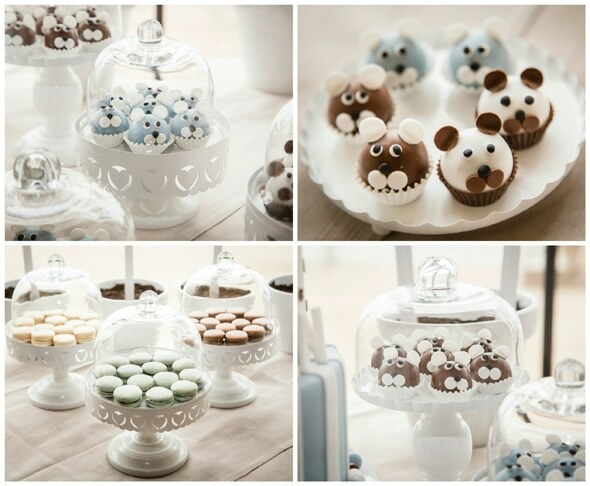 Plan an adorable Bear Themed Celebration with some of our favorite products! What a precious and ever so sweet theme for a Christening loved it!